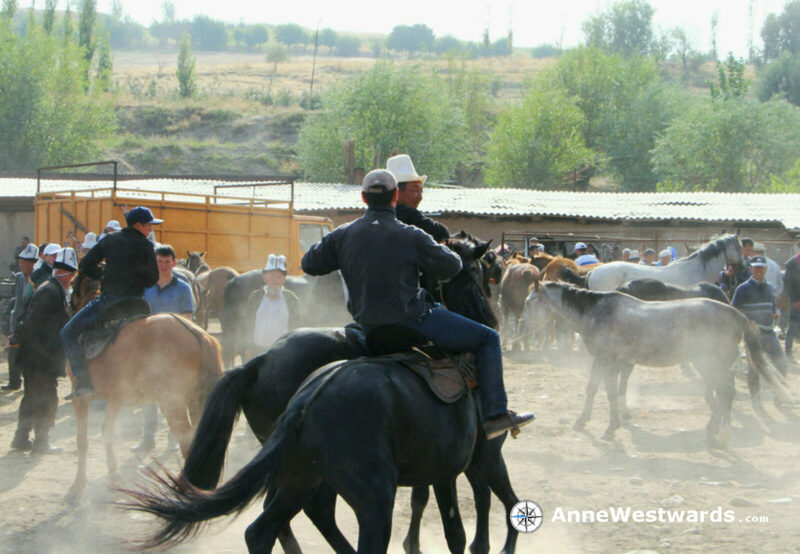 December 2015 – Anne. Westwards. It is Dec 31, the last day of the old year. I am lying in my bed in Bandar Abbas at the Persian Golf, trying to get over an upset stomach, pretty tired and pretty exhausted. But before I vanish to Qezhm island and will likely not have internet access for a while, I wanted to write down some thoughts about being. Just being. One of the crucial moments I encountered in the last months, an eye-opening one, was when a friend of mine was offered a new job. That’s when I realized that I was jealous. Jealous of the thought of having regular days, structure, but mainly: jealous of getting appreciation. A job does that for you. Even if your boss does not realize the genius that is inside everyone of us, even if you do not get cudos for your work, you still get a salary. Money is a compensation for the time we spent at work, but it is also some sort of validation. Someone, at some point, thought that you deserve that amount of money for the work you do. And unless that someone or someone else is utterly dissatisfied with what you are doing, you will keep receiving that money. Your bank account will show that form of validation every month (unless, of course, you are a freelancer and people expect you to work for free, because ‘you love what you do, don’t you? It must be so much fun designing things!’, e.g.). Don’t get me wrong, this is not about me wanting to earn money right now (even though I wouldn’t mind getting some). The job offer my friend got simply made me realize that there is a part of me that yearns for validation. That part of me has a hard time accepting one of the most crucial lessons I am learning at the moment: That I can just be. That I will still be loved if I just am. That I am still a valuable human being. That this journey needs no outcome, no social media, no blog posts, no nothing. That is hard to grasp (speaking for me personally). We are trained – by society, by our bosses, … – to fulfill expectations. We do our job (as good citizens, good children, good employees) and are then given a reward: social acceptance, love, appreciation. Somehow, at some point in our lives, we start confusing things. We start believing that we will get social acceptance, love, appreciation BECAUSE we are doing things (and do them properly, mind you!). That we get those rewards ONLY when we deliver. Our ‘system’ (the environment we live in) will surely not stand in the way of this ‘learning process’ – after all, this turns us into such formidable expectation-fullfillers. Since we rarely (or never) step out of this system, we don’t realize that this might not be true. That we might still be loved and appreciated when we decide to just be and not do. Our heads are filled with a cacophony of voices (see the ‘system’ above: the voices of teachers, bosses, etc etc), voices we have heard so often that we have accomplished the amazing feat of internalizing them. In fact, we don’t need the outer ‘system’ anymore to tell us that we should deliver (and keep delivering). We are our own judges. And very effective judges at that. We might even manage to judge ourselves more harshly than anyone from the outside might (think of ‘I am not good enough for this job’, ‘I don’t deserve such a great significant other’, …). So we ‘happily’ accept jobs that are below our qualification, significant others that are not at eye level, … and live a life that is not up to our potential. My point is: we deserve all of that. And more. For doing… NOTHING. For just being. I am not encouraging you to stop being a good friend /employee / child / … Just to make the step from separating these aspects from the fact that you deserve appreciation, love, acceptance. You deserve that great job, that wonderful partner, you name it. Unconditionally. Because you are a great human being. You are BORN to be a great human being. In retrospect, this might have been one of the subconscious reasons for me to seek solitude so often on this journey. I am, by no means, a very sociable traveller (or cyclist). I enjoy getting to know people on this journey – locals, travellers -, but I very much enjoy to be alone. When you are alone, you can listen to the cacophony of voices in your head. Or, more to the point: you realize that those voices exist. That ‘bad gut feeling’ you have when spending a day doing nothing is not your natural intuition. It is what you inner judge tells you. But before you argue back to that judge, you have to be aware of it. Solitude also takes away all and any outer validation. There was a time when I even asked the people closest to my heart to not contact me. When I ignored all attempts of communicating with the outer world. When I just cycled in the mountains, alone with myself and my thoughts. Meeting nobody, talking to no one. I wanted to see what happens when nobody tells me I was doing a good job, that I was attempting something brave, that I was doing something inspiring. And guess what: the world didn’t stop turning. All that happened was that I was alone with myself. And I was fulfilled by that. It is just that we rarely take this chance of being by ourselves because we are trained not to be. At some point, however, you meet people again. After all, humans are sociable beings and we need to talk to others from time to time. That makes you realize another aspect: even if we have accepted something inwardly, we still project our doubts to the outside. We get nasty questions from others, because, deep inside, we ask these questions to ourselves. By now, I have come to, well, not enjoy those nasty questions, but to take them as a sign that I am not done with this learning step (and, truth be told, I am very much not done with this step). One of my ‘favorite’ questions is ‘so, how many kilometers have you cycled so far?’. My honest answer is ‘I don’t know and I don’t care.’ For me, the eternal fulfiller of expectation, the athlete-from-childhood-on, the over-achiever-no-matter-the-topic, this is a huge step. This journey is not about ticking off sights, countries or kilometers. I don’t exactly know what it is about, but this does not matter, either. That, however, is never accepted by the questioner. ‘But you MUST know how far you cycled, don’t you?’ It is so much easier to categorize people by quantifiying them. How many countries, how many years, how much did your bike cost. I don’t care. I couldn’t care less when others tell me the quantifying details of their lives. But I am stuck with this question. ‘How many kilometers?’ And I hate it. I hate it because the athlete in me, somewhere, deep inside, WANTS to fulfill expectations, to be able to tell a grand number. But during this journey, I developped away from that athlete, far away. My priorities vastly changed. I spent an entire week just walking through the Wakhan valley in Tajikistan (pushing my bike the entire way), because I wanted to have time to take in the landscape and talk to people. I spent two weeks living in Esfahan (Iran), because I had the chance to live with two great friends (Iranian and Swiss) and utterly enjoyed getting to know everyday life in Iran a bit better. The small mileage of this journey is the result (see, I am still avoiding answering the question…). And yes, the road conditions were awful at times, the altitude and gradient made cyling a challenge, my visa were sometimes too short to manage cycling an entire country. Everything I wrote above is a rational explanation (and there are reasons), but I would enjoy getting beyond that. I don’t want to justify anything. Neither justify it in front of other people, nor in front of me. And even if you move beyond the quantifyable details (I might be on the way, but clearly have not accomplished that), there is still the meta level: what did you learn? And – surprise, surprise – we still expect to see results. If we leave everyday life behind (whatever this means for you personally) for an extended period of time, we expect to learn things that we cannot grasp while we are inside our very own ‘everyday’ bubble. There is a learning effect somewhere out there, and we are somewhat waiting for wisdom to fall from the heavens. Fact is: maybe wisdom comes. Maybe it doesn’t. Fact is also: it does not matter. And accepting this, REALLY accepting, is a lot harder than it sounds. I remember vividly how I complained to a friend two weeks ago that I still don’t understand what lesson is waiting for me to be learned in Iran. There has always been a lesson so far, for every stretch of this journey. Sometimes, it was obvious. Sometimes, I didn’t realize until later what I had learned. So what IS the lesson to be learned here in Iran? The lesson is that there is no lesson to be learned (even though, if you move one meta level higher, you can argue against that, of course: that the lesson is that there is no lesson). The point is that I just accept to exist. If any learning happens, great. But I stop waiting for it or expecting it. I am actually quite sure that I am learning things here, lots of things. But I am also moving further away from quantifyable details than ever before. No, I did not visit many cities. No, I did not cycle many kilometers. No, I did not write much. I tried to understand how people think here, how they live. And I tried to just be. Nothing harder than that. Nothing more liberating. Give it a try. PS: 1,634km as of Dec 31st. Feel free to judge me. I will try to not care. How do you prepare for the biggest challenge of your life? In retrospect, I would say that the Pamir highway was exactly this. Maybe this whole journey, but this stretch was where all my fears where concentrated. 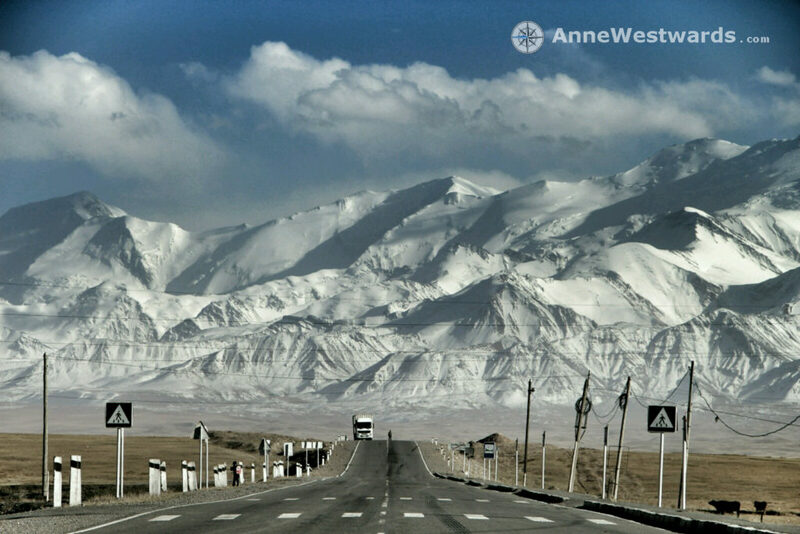 The second highest international highway of the world. Compared to nothing I have ever attempted before. It was borderline insane for a number of reasons: my start very late into the season, with snow on my heals. My cycling there solo. 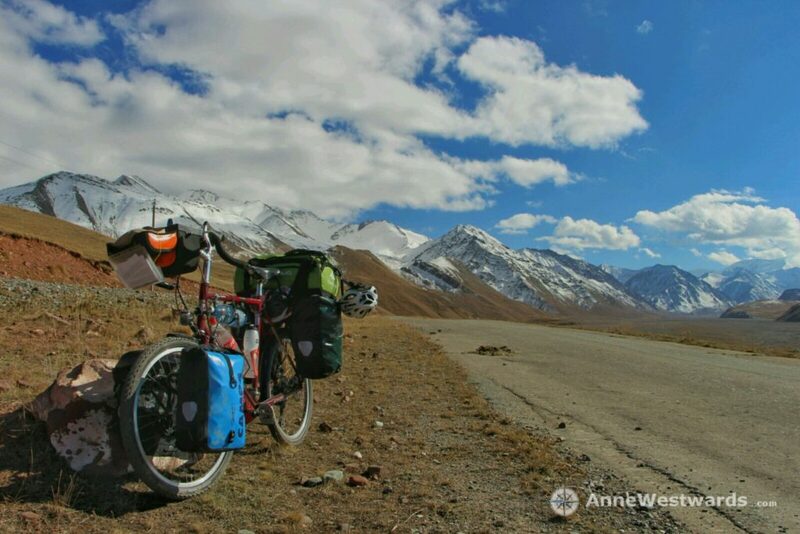 And the fact that I had pretty much zero experience with cycling and camping at high altitude (the first mountain passes I ever tackled in my life had been the ones of the two weeks prior when I crossed Kyrgzystan). So how do you prepare? In essence, you just accept that you cannot prepare. You have to jump at some point. It is just a matter of listening to your gut feeling when you feel ready to jump. Being alone in all this means that nobody is going to tell you when to go, when to wait. I had to find a balance between actual preparation that needed to be done (finding a spare tyre, repairing my failing chain, etc) and the fact that temperatures in the mountains were dropping day by day (I talked to everyone who came down the mountains and were told stories about nights in the tent at -10C, then -15C and finally -20C – that is when I left Osh). Sometimes, people say a sentence to you that they might have forgotten a day or two later. But the sentence stays with you, it reverberates. It strikes a chord inside of you because it carries exactly the message you need, at that exact time of your life. There were two sentences by two women that had this kind of importance for me. A good old friend of mine from my time at U Michigan had written to me: ‘You have incredible mental and physical stamina’. And a Swiss cyclist who had just finished the Pamir highway with her boyfriend told me: ‘Take the time you need to prepare for this.’ So this was about believing in myself, in my abilities to make it. And to listen to myself as to how much mental run-up I needed. And I needed a lot more mental run-up than I thought. 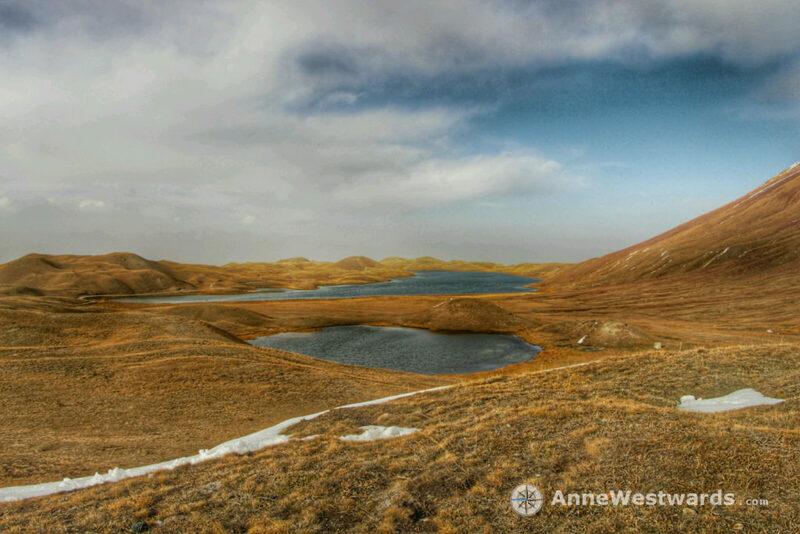 The first half was in Osh, the second in Sary Tash (shortly before the Kyrgyz-Tajik border). My Osh days were wonderful, pure bliss, a sunny refuge from the mountains, my first break from being on the road. A hot shower. Decent food. Great people. Warmth. Once you get into your routine on the road (break camp in the morning, pack your bike, cycle all day, search for a camp spot in the evening, put up your tent, get ready for a cold night), you stop realizing that this actually takes energy. It takes less and less the more you get used to it, but it is only when you stop for a few days, that you realize how relaxing life can be. No decisions to be made. No searching for campsites. No need for calculating how much water and food you will need the next days. No worries about parts of your bike that are close to breaking. If something fails, you can simply go and find a replacement. Those days at Osh became the epitome of the rest days on this trip. They made me realize how much I need these breaks. And it was there that I started to accept that I could not tell beforehand how long of a break I would need, or, for that matter, how long of a mental run-up for the next leg. If you are on the road for just a few weeks, even by bike, a rest day or two might suffice. However, this does not work for long-distance cycling, at least not for me. You need a place to recharge your batteries, mentally as well as physically. 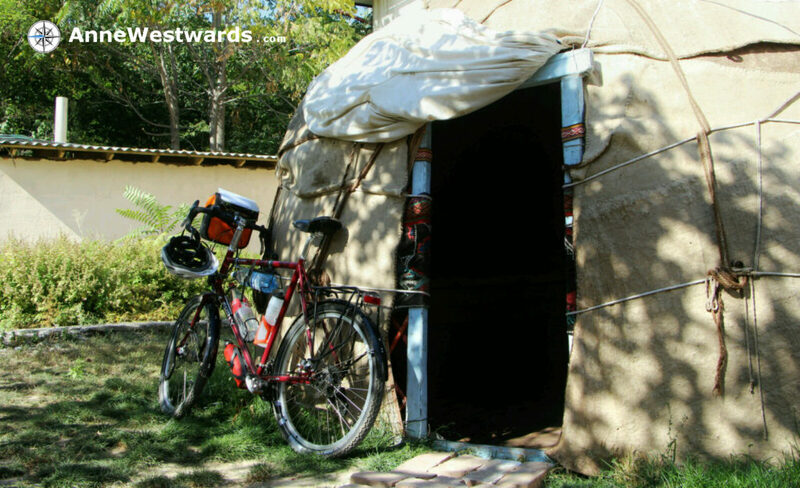 My base at TES guesthouse was close to ideal for this, with affordable accomodation, among others in yurts. This is the place where pretty much every long-distance cyclist stays who comes from China, Uzbekistan, Tajikistan or simply from Kyrgzstan. It is also popular with overlanders travelling by jeep or with public transport. All people whose journeys were measured in months and years, not weeks. In other words: lots of great people, plenty of good advice and interesting stories to be shared. And simply a place where like-minded people meet. This sounds as if it was about huge groups. Really, there were rarely more than five cyclists there at the same time (including myself). There was Fredrika, the female solo cyclist from Sweden, about to head to China, but waiting for a parcel with her passport and a visa. There was the Swiss couple who had just finished the Pamir highway and were a fountain of helpful information about the road ahead. There were two Belgians who had just come from Uzbekistan and debated if they would tackle the Pamirs as well (they eventually decided against it due to the approaching winter). 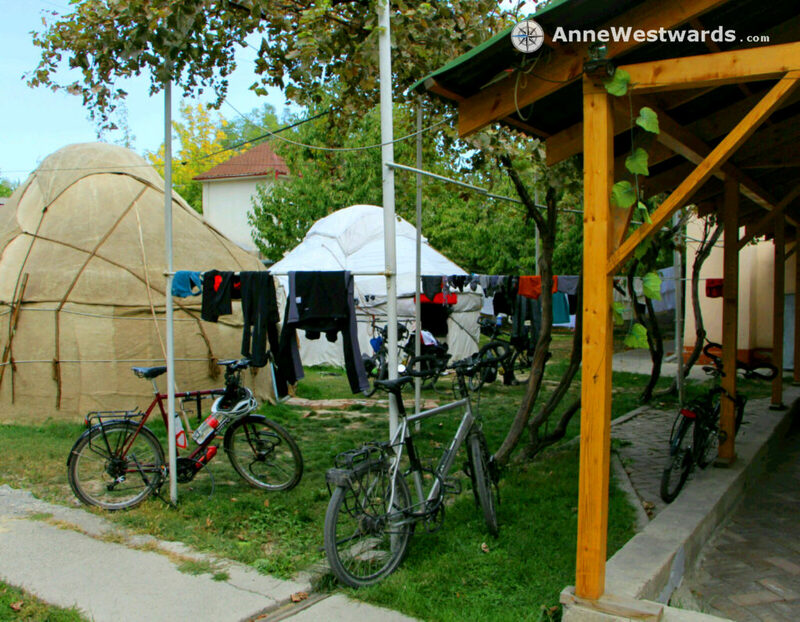 And there were two German couples (travelling overland, but not by bike) with whom I shared a yurt and with whom I bonded instantly as well. 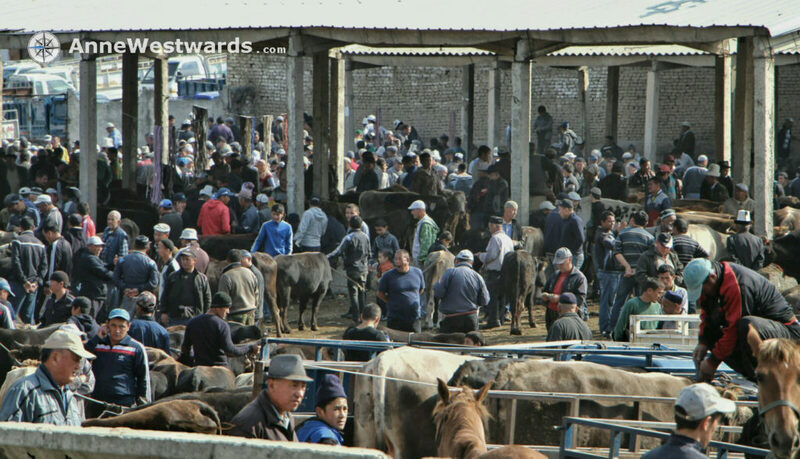 It was with one of those couples that I did the only touristic thing while in Osh: visiting the furkat, the weekly animal market, held every Sunday. The mental run-up is a thing that just happens. You slowly ease into the thought of heading out into the mountains by yourself. Every day you wake up with this thought, that fills you with pure fear at first. Then, you start to get accustomed to the idea. It starts to become normal to talk to people about the road ahead, to gather information, and an idea forms in your mind of what might await you. In parallel, you prepare physically, which gives you an excuse to linger a bit longer. The physical preparation is important in the sense that it also gives you the feeling that you are in control, you do whatever needs doing for getting ready. 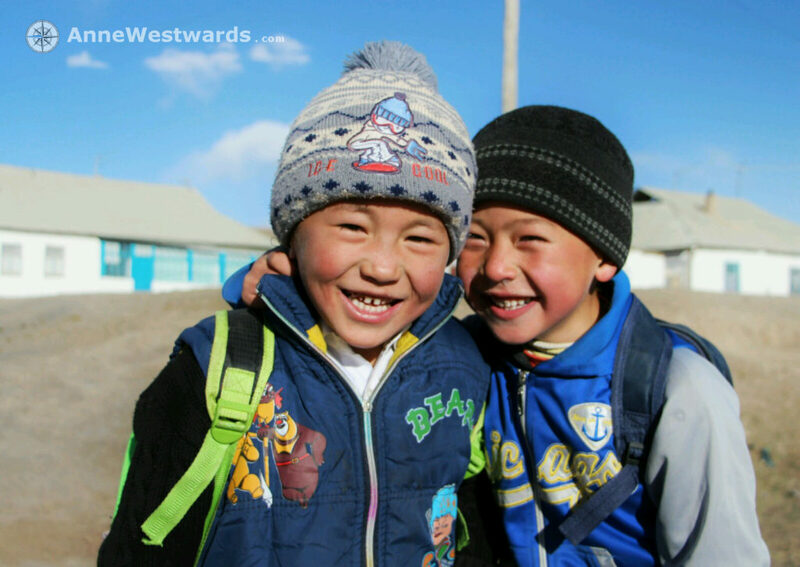 I tried hard to source some of the spare parts I so urgently needed and some of the additional clothing the Pamirs would require. 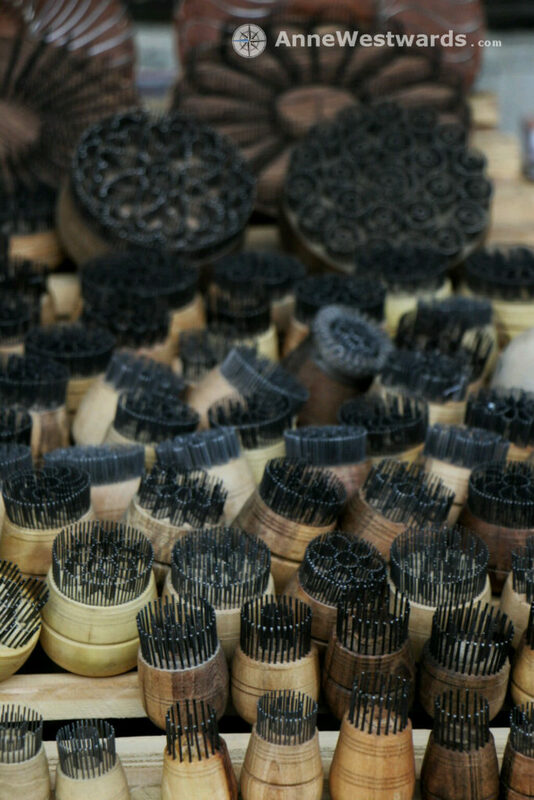 Buying things in Osh is equivalent to searching the giant bazaar, a maze of tiny lanes and slightly bigger alleys, a wonderland of food (in particular, if you come from the mountains), of any item you could think of… EXCEPT if you have a 10drive chain. I had one and mine had a failing link. I did have a spare chain, but I did not want it use it just yet, as I did not dare getting into remote mountains without a spare chain. 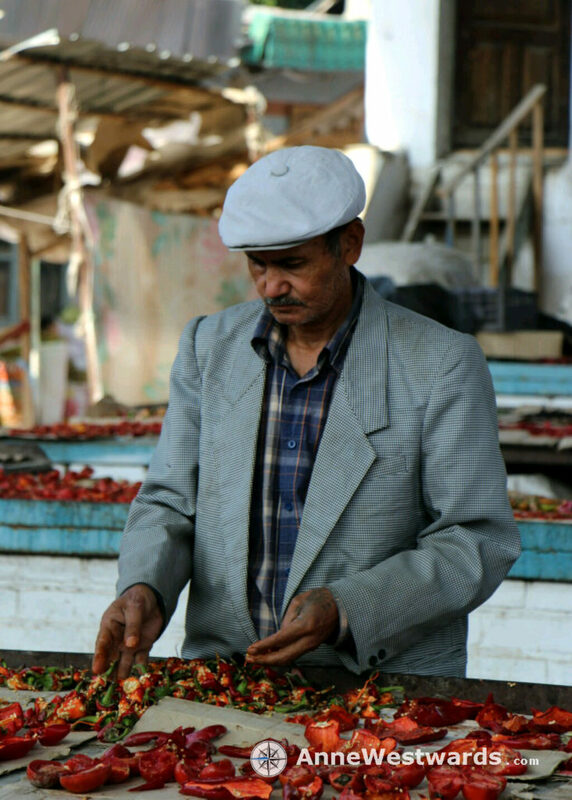 Fortunately, the bazaar is also home to a magician, called Master Toluk. Fredrika, the Swedish cyclist, told me about him – he was the only one who could fix an issue on her bike that none that she had met for the last couple of thousand kilometers could. So I went. 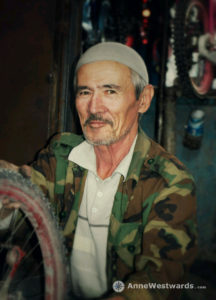 The bike area of the bazaar is tiny, at the far Northern end of the bazaar, hidden away behind metal goods. 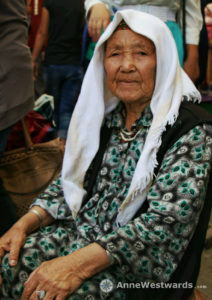 I just asked around for Master Toluk and was instantly brought to an elderly man who radiated warmth and knowledge. “Problem? No problem!” That was the way he greeted me. Well, I needed to fix a 10drive chain. There ARE no 10drive chains in all of Central Asia. Master Toluk looked at my chain, immediately realized that and sent someone away to search for what was needed. Somehow, somewhere, they managed to find a single link that could fix my half-broken chain. How? Did they talk to the mafia? Did they bribe someone? I still have no idea. But Master Toluk smiled, took the link, fixed the chain and confirmed: “No problem!” It was hard to convince him to take any money from me. He just waved it off explaining (I think, my Russian is quite poor) that it had only taken him 2 minutes. In the end, he had some notes more in his pocket and I had a bike with a fixed chain. There are no words to describe how happy I was! I added a poor quality spare tyre made in China to my gear and started feeling prepared. 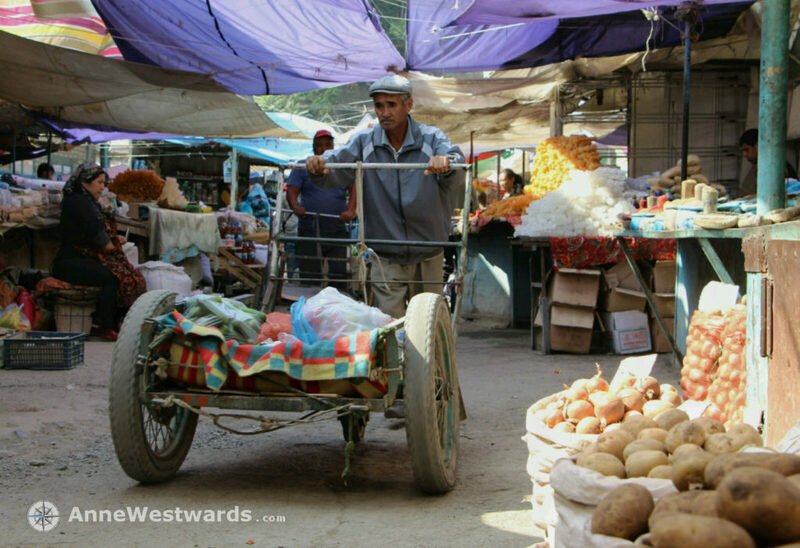 I would have prefered a tyre of high quality, of course, but there simply are none in Osh. I had left my folding tyre in Germany, thinking I could not afford carrying the extra weight. Now, I realized that I could not afford, mentally, to leave what felt like the civilized world without the security of a spare tyre. My thoughts revolved around it. 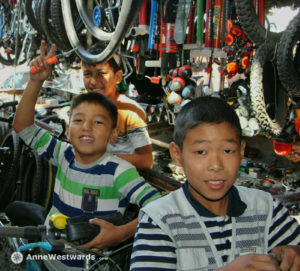 The thought that my good Schwalbe tyres might get shredded on the terrible roads in the Pamirs, in the middle of nowhere. The thought that this would be the temporary end of my journey. The cheap Chinese tyre I bought had no resemblance whatsoever with the quality tyres I have on my bike. It would, at best, carry me a day before cracking under the weight of my bike and gear. But a day might be enough to get to a village, to safety. 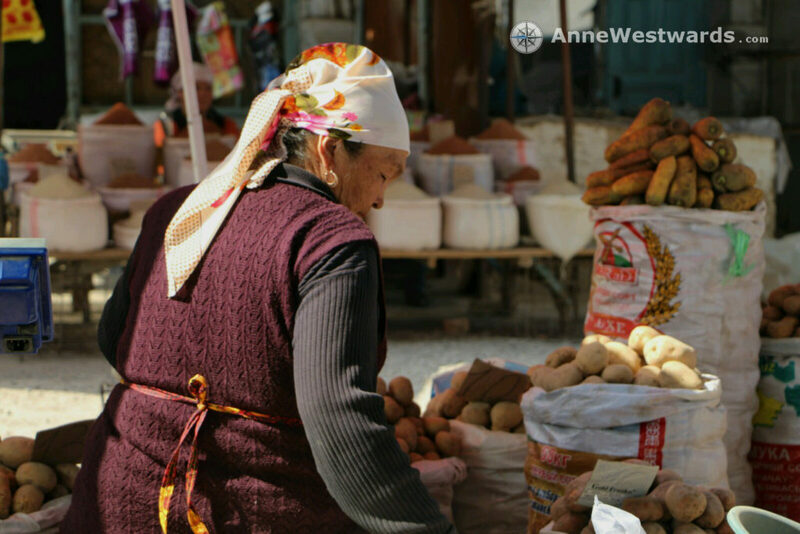 Sourcing additional clothing was a bit tricky, as there is no high-quality outdoor gear that would be sold in Osh. Actually, there is just NO outdoor gear, not even bad one. 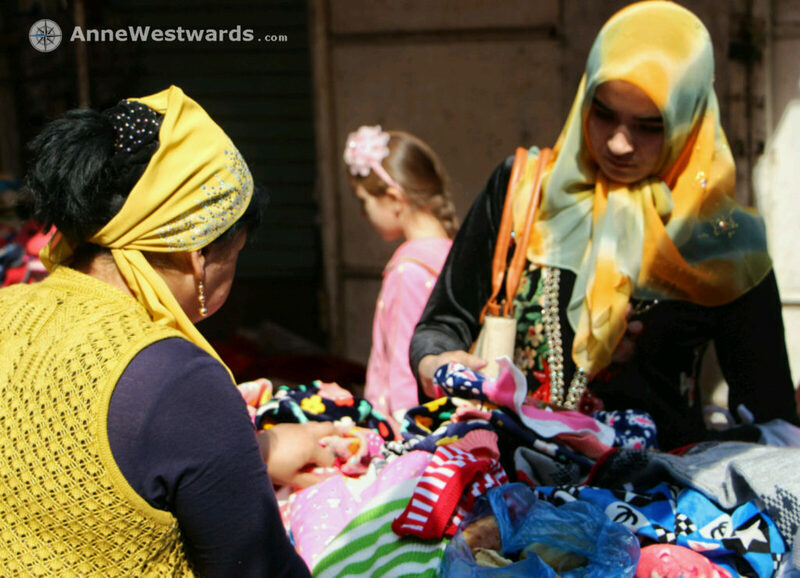 The one advice that really helped me was to search the second-hand shop smack in the bazaar. Obviously, there had been cyclists here before me and some of them had sold their fleece pullovers at the bazaar. I got one that I really liked (and wear up until today) for a mere 1,20 US Dollar. What a bargain! That extra fleece allowed me to use one more of my layers to be worn during the day in the Pamirs, while I could wear the fleece at night. The one item I had not been able to find anywhere in Kyrgyzstan was power tape. Actually, nowhere else in Central Asia either. The one item that allows you to fix next to anything – and the one item I had forgotten in Germany (or rather, packing my bike had required the entire roll I had had with me and I had not thought of bringing a second one). I had packed plenty of spare parts, tools, whatever you could think of for fixing things. But there ARE things which can only be fixed with power tape… at some point, I just accepted that I would not have any, even though this made my stomach cramp. 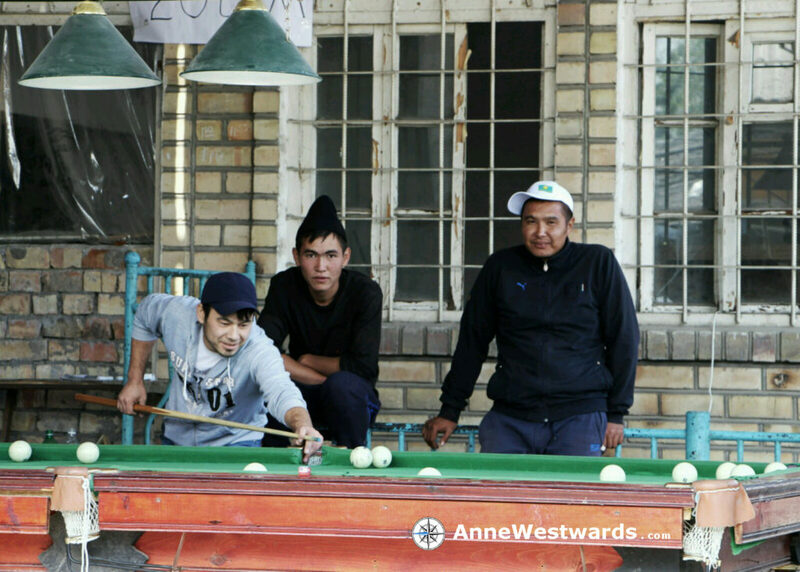 Among the unexpected finds at Osh bazaar were countless billard tables. But no power tape. I don’t believe in destiny, but sometimes I feel there is a sign, a signal. Something happens that makes you realize what you should obviously do. In my case, I went to my bike Emily to check something one morning, when a man approached me: “So you are the owner of this gorgeous bike – what a beauty!” He looked at Emily with the eyes of a connoisseur. “I agree with all the gear decisions you have made on this bike”, he continued. “Except maybe the disc brakes. Other than that, this is one of the most perfect touring bikes I have seen so far.” He then waved to his wife to come and take a photo of Emily. Part of me felt the pride that a parent might feel for their child. Emily is my brain child, the result of a learning process on ‘how to build the perfect touring bike for Anne’. Hearing from a bike expert that I got some of these things right was reassuring. It turned out that this man was an Italian aerospace engineer, an experienced cyclist who had just cycled the Pamir highway himself and was about to fly out from Osh, back home to Europe. Encouraged by the fact that he liked my bike, I asked him if he had power tape that he could spare. And he had! I would have paid anything for this, but he just said “this is among cyclists – take it as a present”. I could have kissed his feet! Power tape, in this part of the world, is invaluable. I forgot his name (actually, I believe I never knew it in the first place), but I will never forget how much his power tape helped me. I never used a single bit of it, up until today. But having this tiny roll with me gives me a feeling of security that no insurance could possibly ever achieve. In the very moment that I put my hands on the power tape, I knew I was ready to head out to the mountains. I left that same day. Goodbye, delicacies! Off to the mountains for me! 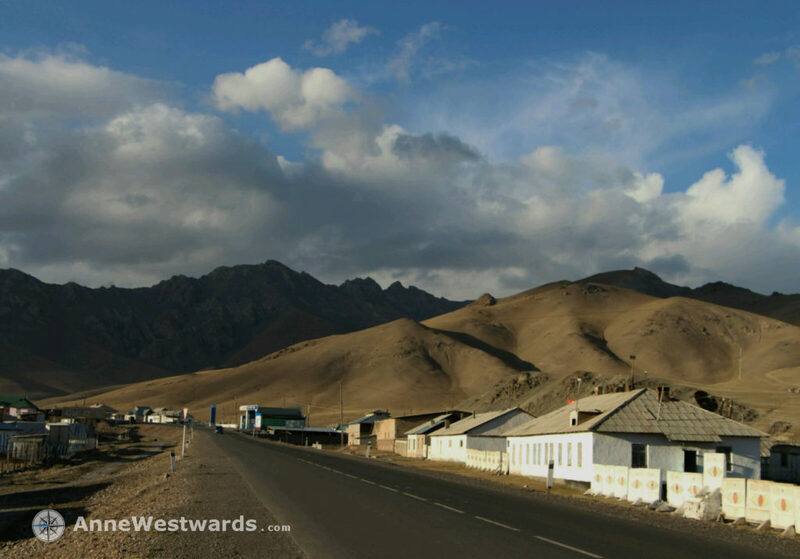 I was headed for Sary Tash, the last settlement in Kyrgystan, a last stop before the Pamirs proper, but already at above 3000m. I had not only waited for a long time in Osh to get mentally ready for the Pamir highway, but also since my stomach would not take any food. Ever since my food poisoning in Karakul, I had not been able to keep anything other than dry bread and coke inside of me. I was tempted to join the other cyclists for the wonderful dishes that they had cooked and offered to me, but whenever I did my stomach didn’t appreciated that. 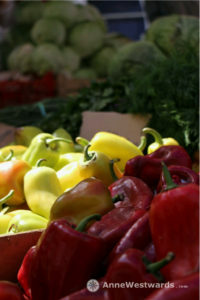 In retrospect, a week without real food should have made me think about seeing a doctor, but my body coped somehow. Yet, I was still pretty weak when leaving Osh, so I hitchhiked most of the way to Sary Tash, through pretty valleys and over snow-covered mountain passes. 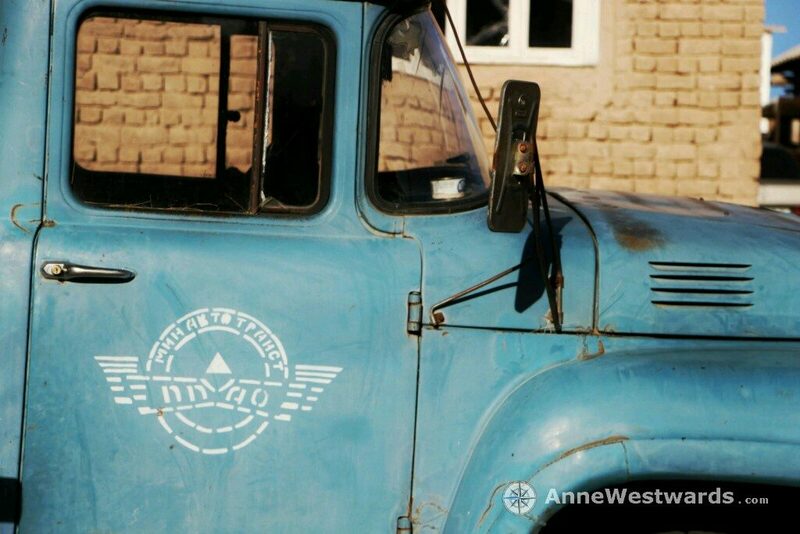 When I left the truck in Sary Tash, I could barely breath. In fact, I could barely stand on my two feet. 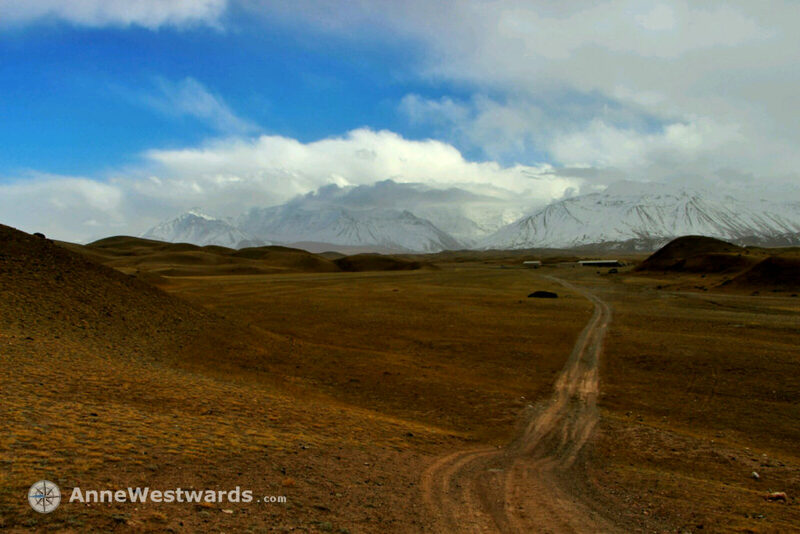 The wind was fierce and icy, a sign of what would await me in the Pamirs. Or so I thought. While the weather instantly took my breath away (not even speaking of the altitude), what impressed me beyond anything was the wall of ice and snow on the horizon. 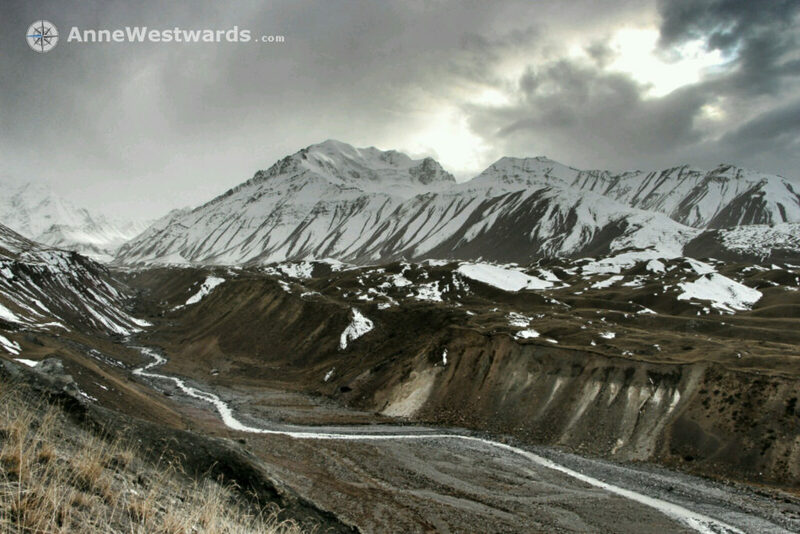 The Pamirs. The high altitude mountain range that was my calling. Glaciers and snow piled up high into the sky, filling the horizon in its entire length. The thought that there might be a road finding its way through this massive walls seemed impossible, yet I knew that it existed. 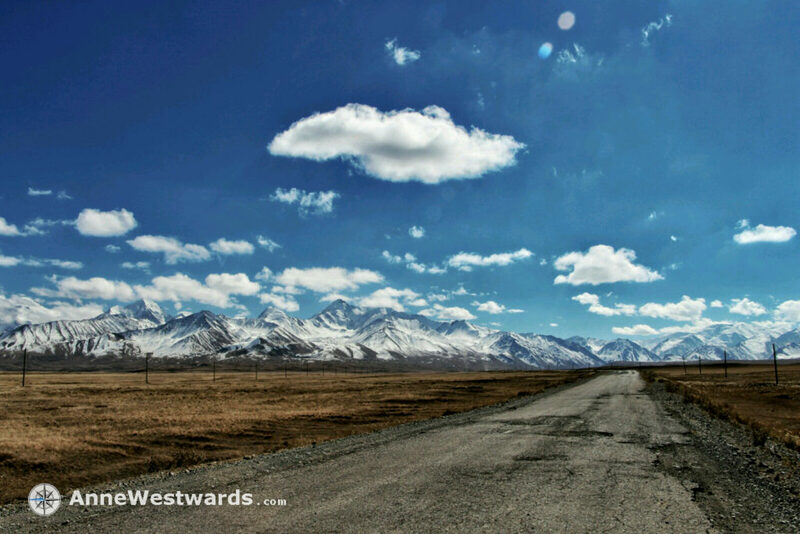 The Pamir highway. People had told me that the panorama from Sary Tash would be impressive, but this was beyond anything I can really describe. Innerly, I bowed my head in respect. I also bowed physically to cope with the wind. This was nature at its most powerful. As a human you really are nothing but a tiny spot on the surface of this gorgeous planet, in existence for just the tiniest fraction of time. So here I was, facing one of the most spectacularly beautiful mountain ranges of the world, feeling as small as I never felt before in my life. I had known for years that this is where I should head, this is where something waited to be learned for me. I still did not know what it would be that I would learn. What I did know, instantly, was that I would hand my life over to these enormous mountains, to their ancient souls, their primal forces. It would be up to them if they would let me pass unharmed. 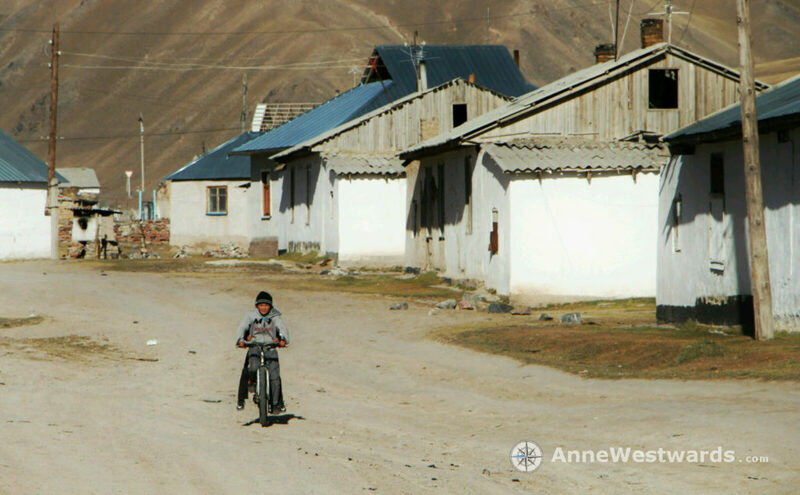 Once I had gotten over the sight of the Pamirs (it took a while), I assembled my stuff, loaded my bike and cycled to a small guesthouse that other cyclists had recommended to me (“If you are lucky, they warm up water for you, so you can wash yourself.”). When I entered the house, I met a Czech family – parents of about my age (Mira and Jana) and Marek, their four year old son. 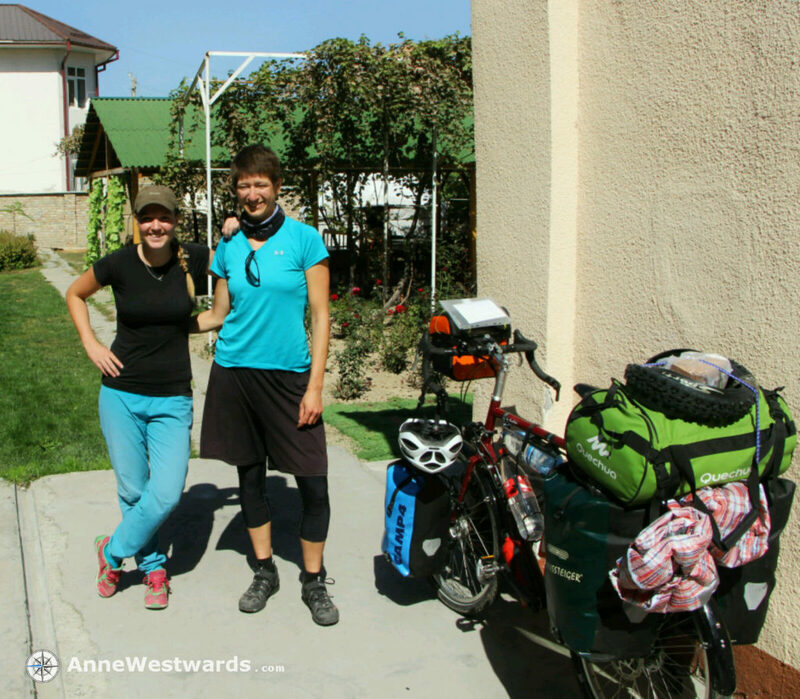 They were exploring Kyrgyzstan with a rental car and had just warmed up in the little restaurant. We chatted for a bit and when they mentioned that they were about to head out to see majestic peak Lenin, I was all in to join them for a day. Straddling the Kyrgyz-Tajik border, peak Lenin is – at 7,134 metres (23,406 ft) – the second highest summit of Tajikistan. We first encountered a little river without bridges, where we had to spent a bit of time finding the best way of crossing the water. After having mastered that, we followed a network of barely visible tracks through the steppe, approaching the splendid peaks ahead of us, shrouded in clouds. This was new for me. During my bike trip so far, I had come to utterly enjoy exploring wind-swept, majestic landscapes by myself. Just the vastness, the emptiness and you. Now, I learned that doing so with other people is very different, but can be really enjoyable as well. We had great conversations about our travels (they had traversed all of the Americas in a one-year road trip), our lives between the USA and Europe (they had also lived and worked in both), our experiences in Kyrgyzstan. I was seriously impressed and very inspired to hear how they had just kept travelling once their child was born, including them into their semi-nomadic life, showing him different cultures and country right from his birth on. Little Marek was just a lovely child to be around with. As he is the only child, his parents made it a point to teach him to share. 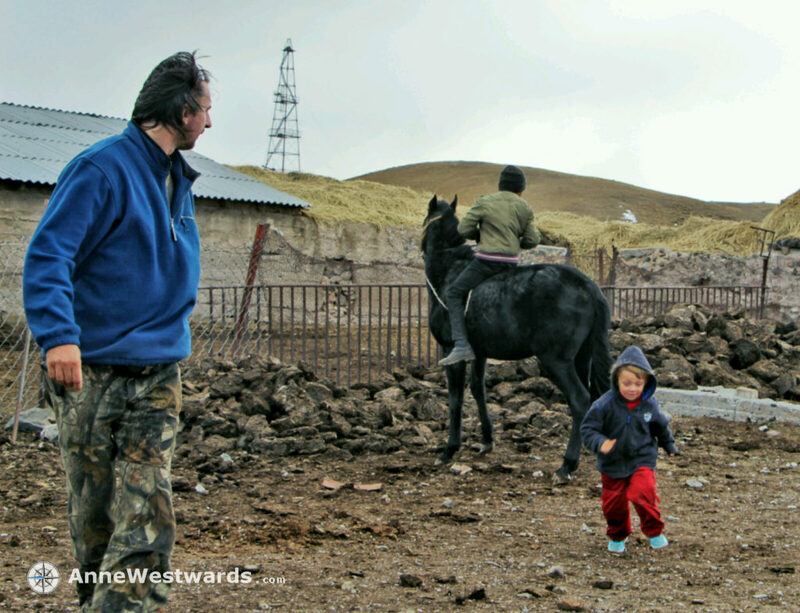 He kept sharing his favorite snacks with me, with a little boy we met on his horse, essentially with anyone he met. At the end of a wonderful day together, he asked his parents if I couldn’t simply keep traveling with them. I would have loved to! 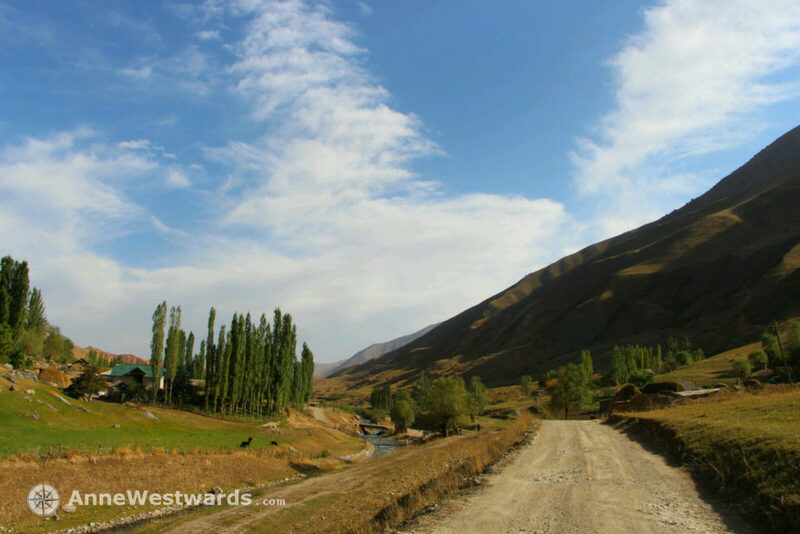 We drove towards the Pamirs as far as we could without needing a special permit. At a small lake at the foot of the mountains, spent some time climbing up some hills, throwing snow balls and just letting the impressive landscape do its magic. Peak Lenin, however, kept hiding itself in heavy clouds. After sunset, temperatures dropped quickly and we had to start heading back towards Sary Mogol. It was not until then, already in the car driving away from the mountains, that Peak Lenin showed its face for a brief moment. We instantly hoped out of the car, Mira shouting: “Thanks for the brief visit, Lenin! We really appreciate it – what a pleasure to meet you!”. Moments later, the peak was gone again. It was already dark when Mira, Jana and Marek dropped me in my guesthouse in Sary Tash to continue their ride towards Osh. 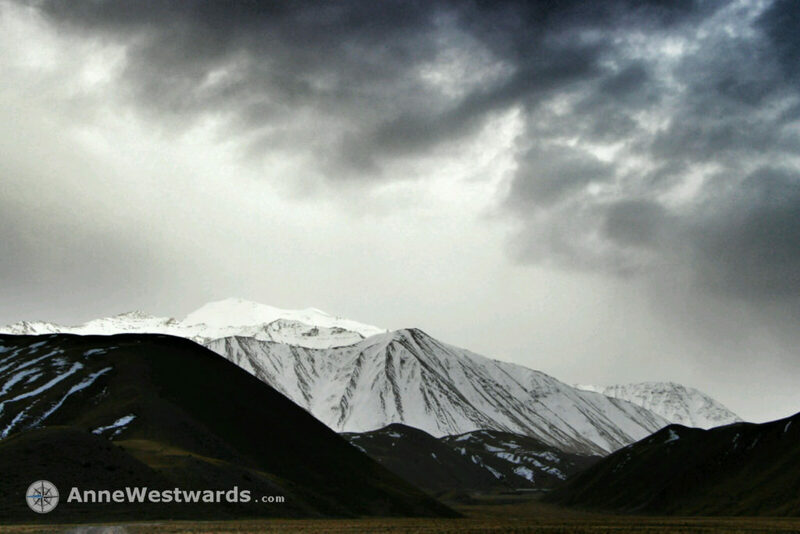 So here I was, literally at the foot of the Pamirs. Alone. My ‘guesthouse’ literally was just an unused room in the house of the small family that was running the tiny restaurant next door. So yes, I was with a family. But when I retreated into my cold room that night, buried under a high pile of heavy blankets, trying to warm up, I felt utterly alone. Honestly, for much of my preparation days in Osh, I had also been half-waiting for other cyclists to arrive who would head for the Pamirs as well. Any cyclist would have stayed in TES guesthouse as well, there had been no chance to miss each other. But nobody had come. And I realized that, as the days passed, I stopped waiting for others. That really, my calling would be to head out to the mountains by myself. That there would be things I could only learn if I was cycling solo. 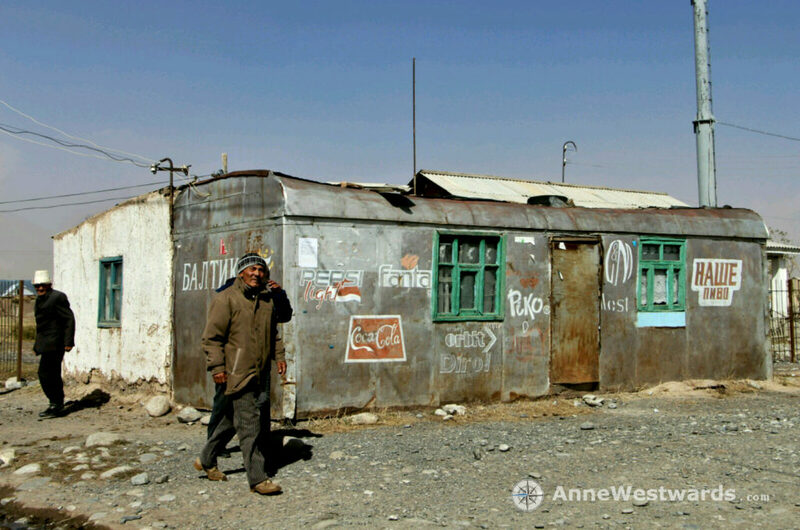 This was an encounter between the Pamirs and me, a rendez-vous where anyone else would be disturbing. And the rendez-vous was getting closer. By the time I had reached Sary Tash, I fully embraced that I could not possibly cycle with anyone else there, but this did not mean that my fears were gone. In fact, the mere sight of these majestic mountains had instilled a fear in me that was beyond anything I have ever experienced. No wolf, no ill-meaning person outside of my tent had created a fear in me greater than this and I doubt that I will encounter a situation again in my life that will instill this fear again, with this force. Heading out into the unknown, being able to rely on nothing but me and my gear. I have had serious close calls on a couple of my journeys, but those had been situations which had just overwhelmed me. I had never headed into something that might cost my life with eyes wide-open, fully aware of what I was doing. Again, I took my time for getting ready. Walking around the village, thinking. I needed a day at least for acclimtization to the altitude anyways. On the evening of that day, I ate in the little restaurauant again when I started to feel really unwell. I returned to my room, spending a few hours feeling terrible before I had to run out into the icy night and the snow to throw up. Again, again, again. I am not sure if it was some kind of food poisoning again (my host family insisted it was because of the cold). Maybe it was just fear turned physical. Whatever it was, it sent me back to bed (or rather: to my blankets on the floor) for another two days during which I was again too weak to even walk straight. Other means of transport? Not now. “This is a weird night… a lot of it feels like a farewell. Rite of passage? Passage through the (mountainous) desert? Jumping into nothingness? I hope that my feeling is right that sometimes, a part of you has to die for you to truly live. 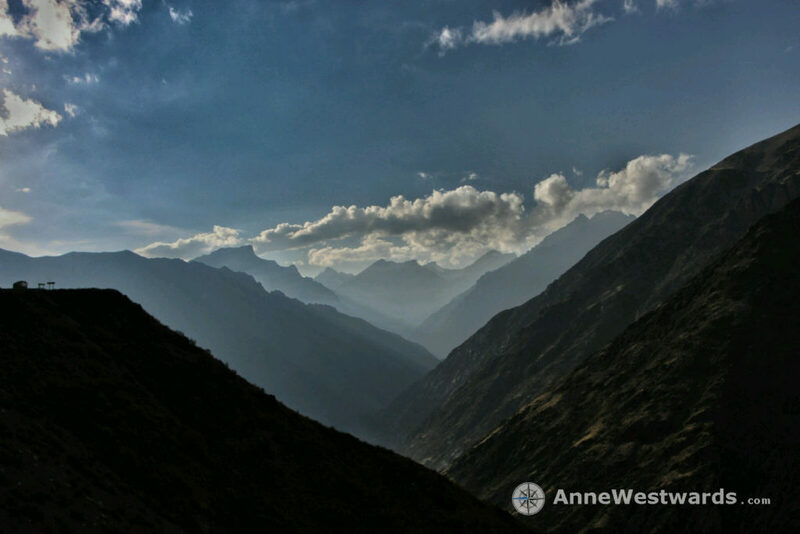 The closer I get to the mountains – physically, mentally- the more of me dies. I hope that a phoenix will rise from the ashes. If not, I gave it a try at least. This place has been calling me for years – I will find out what it is I am supposed to learn here.